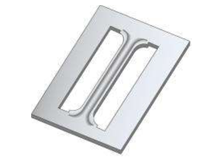 Double Bridge Type Card Guide – use to guide printed circuit boards in electronic enclosures. 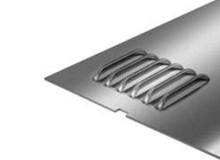 Oversized Card Guide – used in the electrical and electronic enclosures. 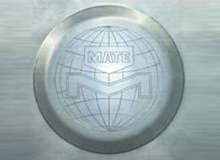 Note complex geometry of pre-piece tooling, also designed by Mate. 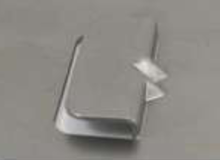 Reinforced Shelf Clip – the extra geometry of the formed material provides additional rigidity which prevents the clip from flexing. 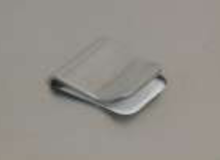 Simple Clip Type – formed in 0.039(1,00) mild steel. Available in multiple tool styles. 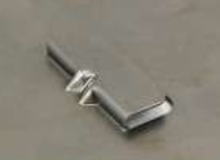 Simple Clip Type – with angled entry to allow material to be slipped under the clip with ease. Elongated, Double Clip – also know as a “drawer front” lance and form. One tool, two forms, for maximum productivity. Multiple Shaped Emboss – 9-forms in one tool for maximum productivity. 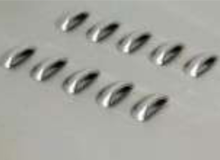 Simple round emboss + pierce after emboss to ensure the precise dimensions of the through hole. 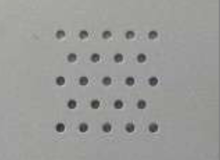 Special Shaped Emboss (Oval Shape), used in conjunction with special shape tool, to create tread-plate in 0.250(6,35) Aluminum. Large Double Electrical Knockout – for use on the electrical enclosure industry. Tab sizes and positions designed to ensure reliable removal when required. 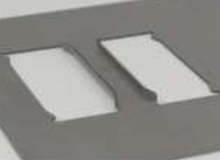 Offset Triple Knockout – Used to create variable sized openings in electrical enclosures. Quint Electrical Knockout – for use on the electrical enclosure industry. allows five different opening sizes to be selected, depending on application. Oversized Shaped Single Electrical Knockout – form length approximately 4.500(114,30). 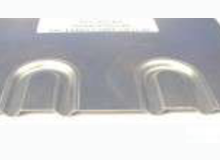 Tab size and position designed to ensure reliable removal when required. Special Quad-Lance and Form – four forms with one tool: saves additional hit, and allows the auto-index tool to be used for punching. Form size approximately 1.250(31,70) across. Multiple Lance and Form Tool – Multiple forms on one tool are designed to maximize productivity. 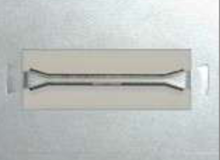 Miniature Lance and Form – only 0.250(6,35) wide, with domed top geometry for maximum form height in 0.040(1,00) mild steel. Miniature Lance and Form – with geometry for maximum form height in 0.040(1,00) mild steel. So why not expand the capabilities of your turret with Special Assemblies from Mate Precision tooling? Our Special Assemblies are designed with high performance features for extended service life in the most extreme operating conditions. Most assemblies include fully interchangeable components to minimize machine downtime and maximize productivity. Mate knows speed is important to our customers, so we make it easy for you with a large inventory of Thick Turret and Trumpf-style Special Assemblies in-stock and ready for immediate delivery. Our lightening fast quotation response rate—99% same day—ensures you receive your information quickly. Mate’s delivery times are fast…and getting faster. 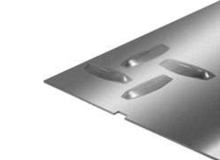 If you have a particular sheet metal forming challenge, let Mate’s expert consultancy solve it for you. Our team of Applications Specialists has over 170 combined years of sheet metal experience to solve your application problems. View our innovativeSpecial Applications Customer Gallery to see how we’ve helped others. We’ve also developed our Technical Solutions Guide that’s filled with fabricating tips, techniques and special applications ideas. 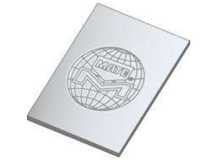 To request your copy of Mate’s Technical Solutions Guide, email us at: marketing@mate.com. You can also use the Special Assembly Fill-In Drawings or download the Special Assembly Order Form . Finally, we also know that customers want forming tools that work right out of the box. That’s why ALL Mate Special Assemblies are fully tested before leaving our facility to guarantee your uptime. Use : As a retainer for printed circuit boards. 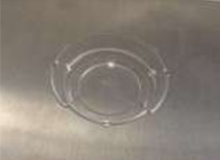 Material thickness from 0.040(1.00) to 0.078(2.00). Maximum recommended top-to-top height 0.125(3.20). Length of the card guide is dependent upon station size and machine tonnage. Also available as a continuous type form to increase productivity. Use : To produce multiple holes with minimal hits. 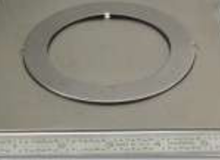 Material thickness from 0.020(0.50) to 0.157(4.00). Other constraints dependent upon station size, punch size and shape and press tonnage capacity. 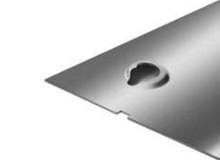 For greater hole uniformity and flatter sheets, spread the punches to avoid punching adjacent holes in the same hit. Complete the desired pattern with the technique known as bridge hitting. 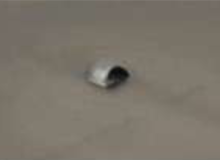 Use : Allows screw head to reside flush or below the surface of the material. Material thickness from 0.048(1.22) to 0.250(6.35), dependent upon press tonnage capacity. The shoulder style (dedicated) is generally ordered for one material thickness and screw size. 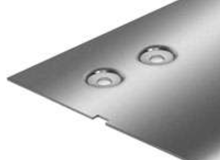 The shoulder style coins the surrounding area producing a clean flat countersink with minimal burring. 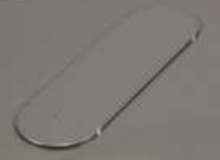 Use : As a stiffener to add rigidity to sheet metal panels. Material thickness from 0.027(0.70) to 0.250(6.35), dependent upon press tonnage capacity. 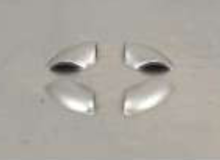 Increments between hits are determined by the cosmetic requirements for the finished part. Smaller increments result in better appearance. Use : To produce a logo or design on a part. Best results in material thickness from 0.040(1.00) to 0.078(2.00). 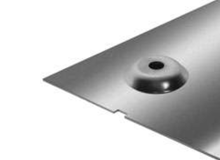 Maximum size dependent on the tooling style, station size and press tonnage capacity. An exact drawing, CAD file or sample of logo is required in order to produce this type of assembly. Use : Provides a recess or a protrusion. Optimum form height is 3 times the material thickness or less. 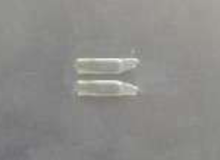 Use : Threading for screws and increased bearing area for tubes, etc. 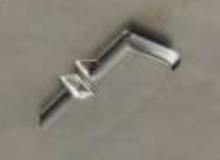 Material thickness from 0.031(0.80) to 0.106(2.70). Overall Height.2x to 2.5x material thickness. 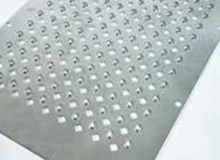 Buy additional inverted dies to accommodate alternate material thicknesses. 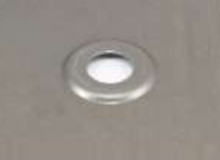 Maximum diameter can be increased by using an alternative design. 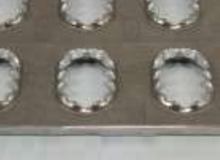 Use : To create hinge knuckles as integral elements on sheet metal components. The range of this application is dependent on a combination of the material thickness, pin diameter and feed gap of the press. 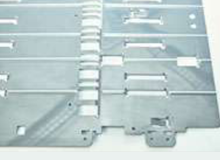 An integral hinge knuckle on a component eliminates the costly process of purchasing and assembling separate hinges. 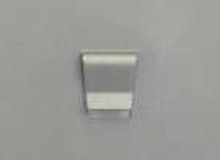 Use : Allows optional pathway for electrical cable. 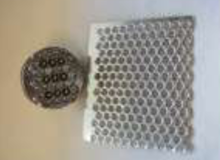 Material thickness from 0.024(0.60) to 0.118(3.00). Maximum size dependent upon material type, thickness and press tonnage capacity. 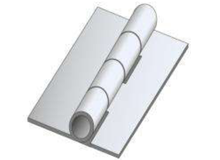 The tool can be used with other material thickness within a range of + or – 0.016(0.40) from design thickness. 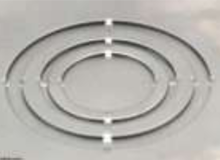 Maintain minimum of 0.236(6.00) difference between diameters used for knockout. Use : The Rollerball™ takes advantage of the extended programming capabilities of hydraulic and other punch presses capable of operating in the X and Y axis with the ram down. The Rollerball® gives you the benefit of making forms not possible with single hit forming tools. 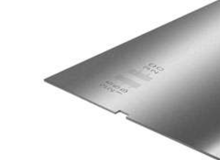 Maximum workable material thickness is 0.105(2.70) mild steel. The press must be capable of holding the ram down while the sheet is moved on the X or Y axis. 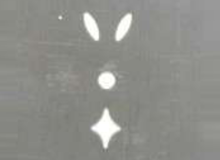 Use : For markings or etchings on the surface of sheet metal. 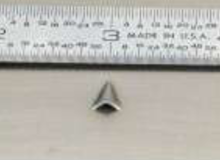 The tool uses a diamond pointed insert in a spring loaded holder to create the marking. 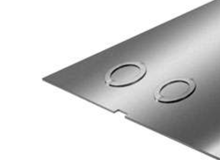 The Sheetmarker™ Tool can be used on all material types and thickness. 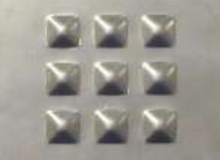 A wide variety of results can be produced, ranging from very light etching to fairly deep grooves in the sheet. Variations are achieved with a combination of three spring pressures and insert point angles. Use : To provide indelible marking of alpha-numeric characters on the top or bottom of the sheet. Example; for part numbers. Material thickness from 0.032(0.80) up to machine capacity. Characters available in 4 popular sizes. See table. Each individual character can be changed easily. Use : To provide a form to accept a sheet metal screw (button head). 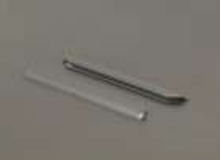 Material thickness from 0.020(0.50) to 0.048(1.20). Size is dependent upon screw size selected. 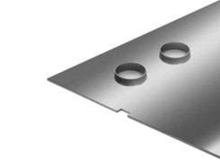 Thicker material requires a countersink operation or thinning prior to threadforming. Tool can be designed to suit either cut thread or rolled thread. You will need to specify thread type when ordering. Use : To produce logos, messages or symbols. Maximum size is dependent on station size and size of symbols and characters and press tonnage capacity. 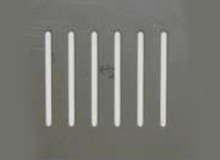 V-Line Stamping.renders the image with a thin, sharp line stamped into the surface.